Members of the public always welcome. Alan Gibson (077 8660 7776) Private tuition available. Monday nights, Southampton Education School Building (Building 34) Room 4007. Time 8:00 – 9:30. Thursday nights, SUSU Building, Clubs and Societies Room. Time 8:30 – 10:00 (during University Term times). Out of term times. Southampton University, University Rd, Southampton SO17 1BJ. Arrive on time or access may not be possible. University Map / Road Map Car parking is available next to the Jubilee Sports Complex, the entrance is by Occupational Health (Building 1102). NB. Please keep an eye on our social media for training/room changes, especially around Uni holiday times. 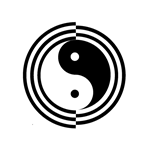 Facebook page: Bognor Wing Chun Gung Fu One2ones. Monday, 8:00 – 9:30pm Holyrood Chuch Hall (Opposite the Castle Inn), Newport High St.
Wednesday nights at various locations.